Ooooh, see what I did there? Clever. ‘Cause it’s got berries in and it’s purple. See? Combine all the ingredients apart from the vinegars and beetroot in a deep casserole dish. 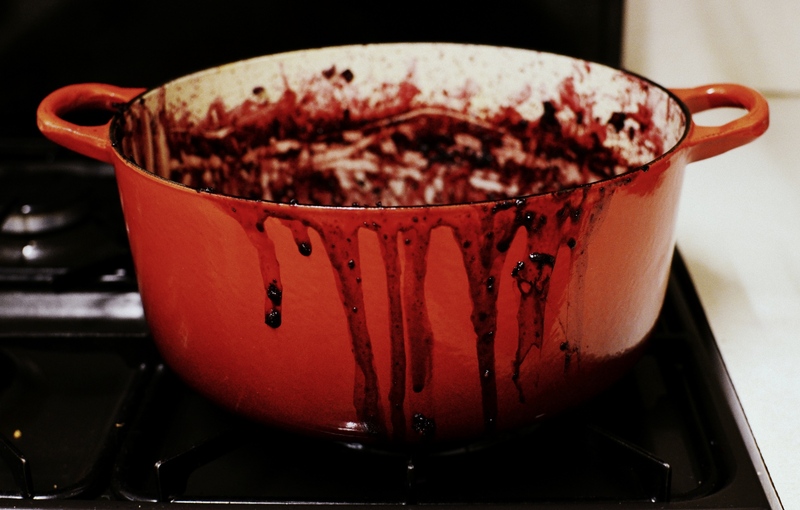 Stir over a medium heat until most of the blackberries have smushed down (approx. 20 minutes). Add the vinegars and beetroot and simmer until thick (approx. another 20-30 mins) stirring as and when. Leave to cool before transferring to sterilised jars. The way I tell whether it’s a good consistency is drawing a spoon through the mixture – if liquid immediately fills the gap then keep it simmering, if liquid oozes in slowly then your pretty much done! It’s not very scientific but it works well enough for me. That’s right folks, we’re back on the chutney bandwagon. 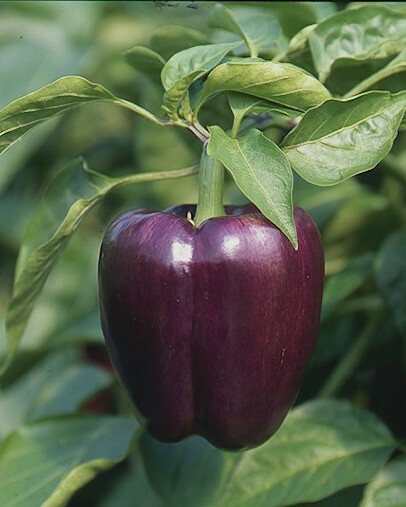 This one is sweet, tangy and comes with a bit of a kick. 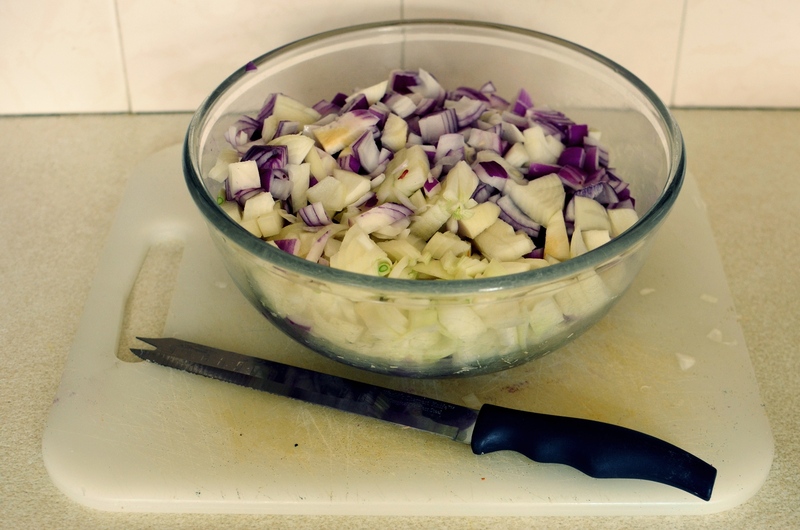 If you’re not crying your eyes out with all those onions then you’re made of sturdier stuff than us! 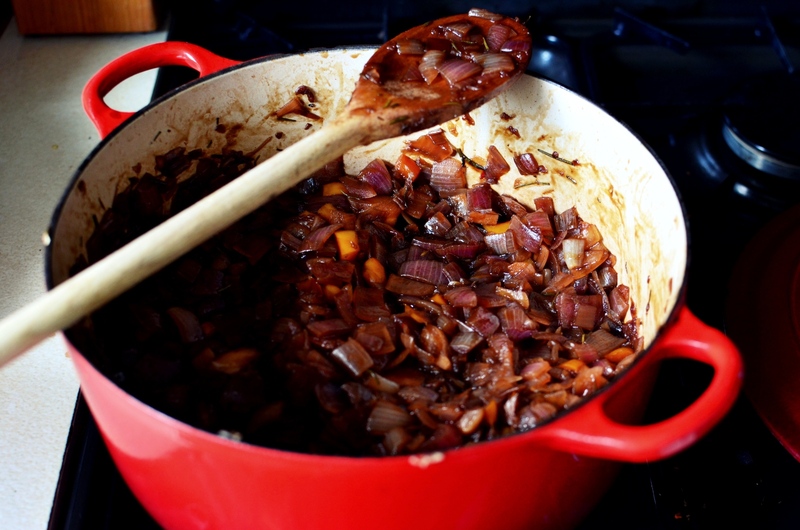 Heat some oil on a low heat in a big pan and add the onion, garlic, bay leaves, rosemary and cinnamon stick. Cook for 15-20 minutes until soft then add the pepper and chilli and cook for a further 5 minutes. Add all the vinegar and sugar and reduce, still on a low heat, until thick and sticky. Remove the bay leaves if they start to go too soggy. Spoon into sterilised jars or throw some straight onto a fat wedge of cheese and scoff shamelessly. Friday nights are just not the same without pizza, but sometimes I like to cook pizza on other days too, such as Thursdays, or Mondays. Or, indeed Wednesdays. It doesn’t make the pizza any less enjoyable. Sometimes I like to make my own pizza and they definitely beat shop-bought simply because you can make it just the way you like it. There’s also the added bonus that, in theory, it’s healthier, so you can eat more of it. 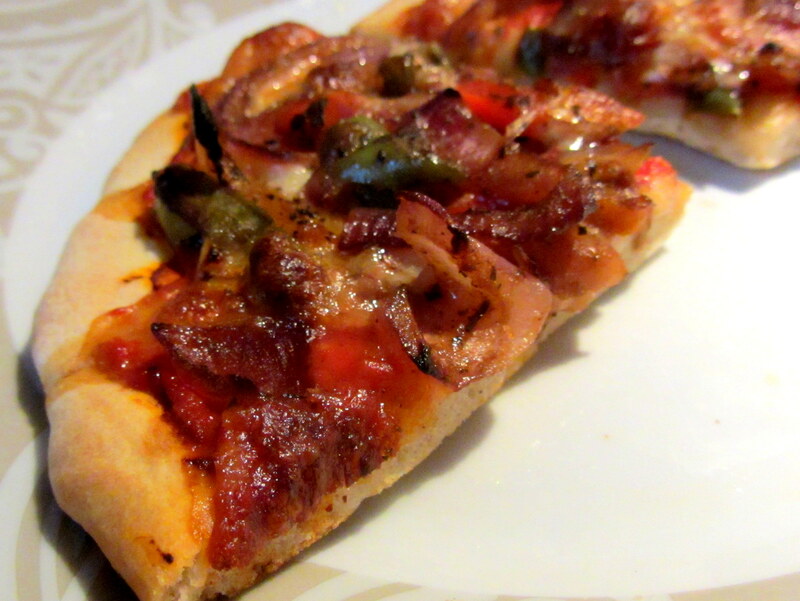 I use a standard pizza dough recipe that I copied from a recipe book before I left home. I have never experimented with other pizza dough recipes as I haven’t perfected the art of kneading just yet and I don’t think it would be a fair test of their tastiness. One day, I will find the best recipe from a nice Italian chef and I’ll make sure to write it down. Or marry him. The best thing about making your own pizza is that you can pile on all your favourite toppings and even do half-and-half if two of you can’t quite agree. (Or you can’t quite agree with yourself). It’s the perfect recipe to use up any left-over bits and bobs in the fridge: cooked chicken, vegetables, ham, chillies, cheeses…you could even experiment with different herbs and flavours in the dough. This is my personal favourite topping at the moment – caramelised onions and mixed peppers with a sprinkling of basil and loads of mozzarella. First, begin by making the dough. Weigh out and sieve the flour into a bowl, add the 1/2 tsp of salt and yeast and add the oil. Prepare 200ml of hand-hot water. Gradually add the water to a well in the centre of the flour and mix slowly. I suggest adding 50ml at a time until 150ml has been added, then slow down until you reach a firm and ever-so-slightly sticky mixture. I prefer working on the wetter side of doughy as you’re going to add a bit of flour as you knead and it is more difficult to add water as you knead. Knead the dough on a lightly floured work surface for around ten minutes (the idea of kneading is to gently stretch the dough in all different directions to make it easier for bubbles to form within the gluten mesh-like structure). 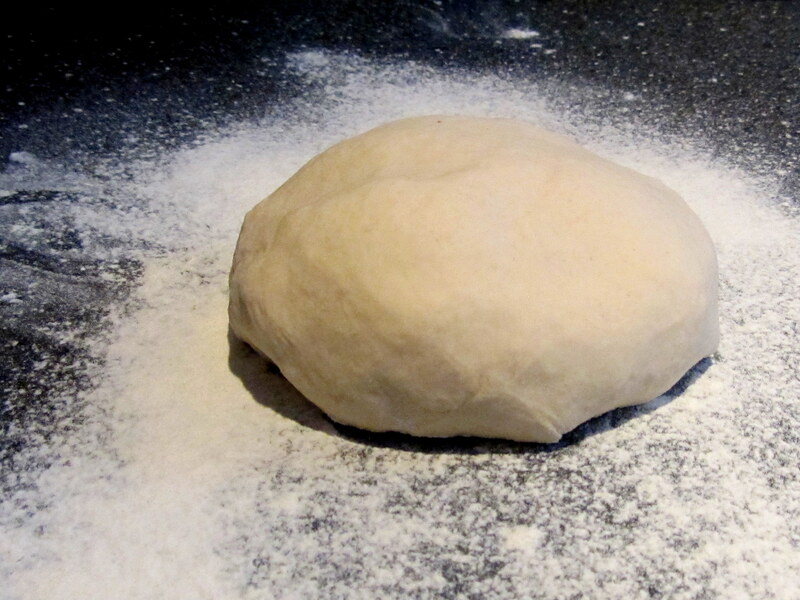 After kneading, place the dough in an oiled bowl and ensure that all sides of the ball are covered. Cover the top of the bowl with a tea-towel or cling film and leave to prove in a warm place for around an hour or until doubled in size. Meanwhile, heat the oil in a saucepan. Slice the onion and gently fry for around a minute. 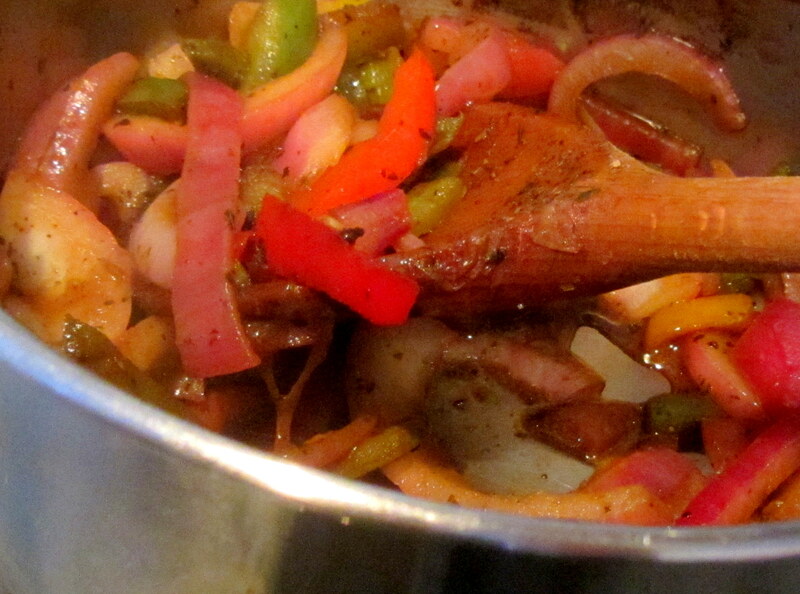 Add the peppers (frozen or otherwise) and allow them to soften slightly. Sprinkle in the sugar and basil and add a small pinch of salt and pepper to remind it that it’s dinner, not pudding. 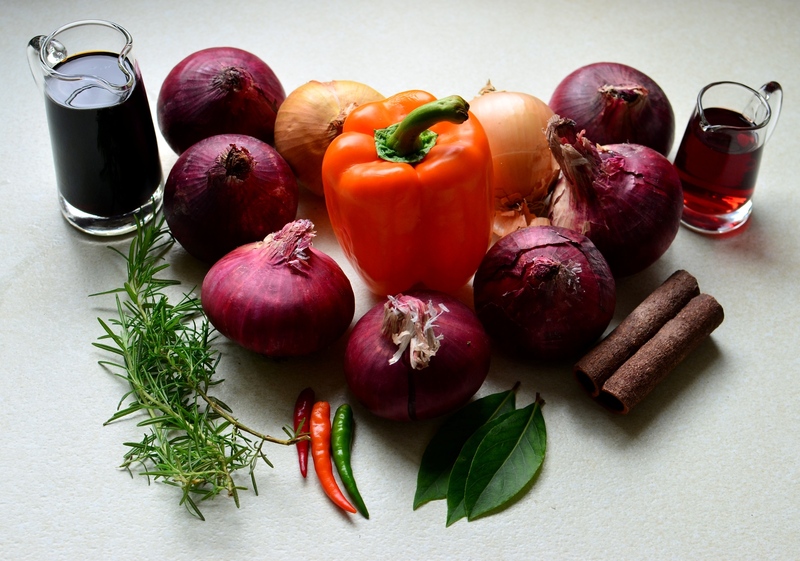 Pour in the balsamic vinegar and allow it to reduce slightly and turn off the heat when the veg is soft and the sauce is thick. After proving, knock back (knock back (vb. ): to hit violently, smack around on the work surface, punch repeatedly whilst imagining someone you don’t like) the dough and shape your pizza. This amount of dough should make one large or two small pizzas. Place on a baking tray and spread some tomato puree on the top of each. Here you could use passata or a jar of tomatoey sauce, but I often find they make a soggy pizza, so unless you want to go all out and reduce it down to make it thicker, just use puree. Slice the mozzarella ball and scatter around half the ball over the pizza(s). Spread the topping over the bases evenly and top with the rest of the cheese. Bake in the oven at 180° for around 15 minutes until the cheese is nicely melted and the base is slightly brown. Best served on a Friday, in front of the television. Leftovers (should you be lucky enough to have any) make a good Saturday morning breakfast and a great pack-lunch.